Your nose is one of the most prominent features on your face, and subtle adjustments to the size and/or shape of your nose can have a dramatic impact on your appearance. For many people, these small changes to your nose can create better balance between your facial features and provide you with a boost in self-confidence. Rhinoplasty is an effective way to reshape your nose and help you look your best. Dr. Dean Kleto is a board certified plastic surgeon with more than 25 years of experience performing nose surgery, and he will work with you to develop a customized treatment plan that addresses your unique aesthetic goals. You can learn about your rhinoplasty options and receive individualized treatment recommendations by speaking with Dr. Kleto in person. Please call 865-366-4755 today to schedule a consultation. We serve patients in the Knoxville, Tennessee area. What Aesthetic Issues can Rhinoplasty Correct? While most people choose to undergo nose surgery for aesthetic reasons, Dr. Kleto can also perform a functional rhinoplasty to improve breathing that is impaired by a deviated septum. Am I a Rhinoplasty Candidate? If you smoke, you will need to quit prior to your surgery and throughout the recovery period. Smoking can have a negative impact on your body’s ability to heal and the final rhinoplasty results you achieve. In general, there are no age restrictions associated with rhinoplasty once your nose has fully matured. This typically occurs around age 14 or 15 for girls and age 16 for boys. Dr. Kleto has performed nose surgery on patients of all ages and can achieve beautiful, natural looking results at any stage in your life. The type of rhinoplasty you require will depend on the structure of your nose. Dr. Kleto will carefully assess all of your facial features and help you determine what method will best suit your needs. In both types of rhinoplasty, Dr. Kleto will access the cartilage in your nose to gently reshape it, correcting imperfections and providing symmetry. Once completed, your incisions will be sutured, and the healing process will begin. For additional information, please read our questions about nose surgery page. Dr. Kleto will be involved in every aspect of your recovery, and you can reach him at any time if you have questions. Due to the lingering effects of the anesthesia, you’ll need to arrange for a friend or family member to drive you home after surgery. For the rest of the day, plan on drinking lots of fluids to prevent dehydration. You will also need to get plenty of rest. In the first few days following your surgery, you will experience some mild swelling, bruising, and discomfort. Cold compresses and medications supplied by Dr. Kleto can be used to deal with these problems. Keeping your head elevated and allowing your body time to rest will also be helpful during this time. You should avoid strenuous activities for the first 1-2 weeks of your recovery. This will allow your body time to heal properly. After about 2 weeks, you should feel up to returning to work. You should avoid direct sun exposure for up to two months. Dr. Kleto will help you determine when it is okay to resume all of your normal activities. You’ll begin to notice subtle changes in the appearance of your nose after surgery, but you won’t experience your final results until your nose is completely healed and all swelling has subsided. If you are unhappy with the results of a previous nose surgery procedure, Dr. Kleto can perform revision rhinoplasty to help you achieve your desired outcome. 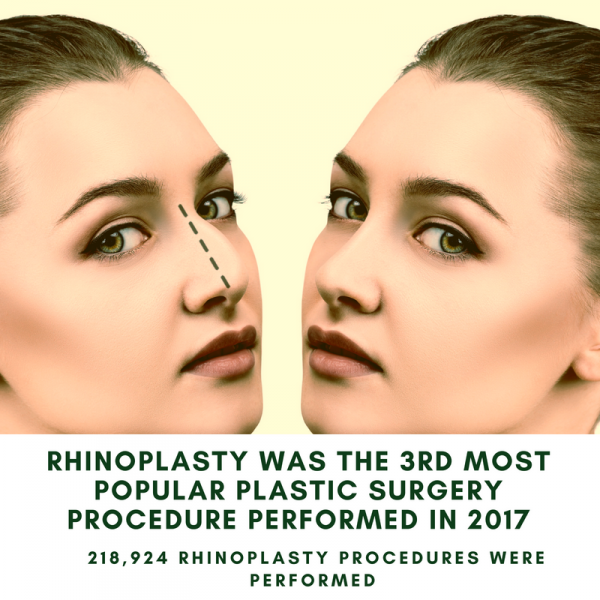 While these procedures are typically more complicated than an initial rhinoplasty, Dr. Kleto has extensive experience performing revision procedures and has achieved excellent results. If you are interested in rhinoplasty, please contact Dr. Dean Kleto using the form on this page or call 865-366-4755 today to schedule a consultation. We serve patients in Knoxville, Sevierville and throughout the surrounding areas of Tennessee.